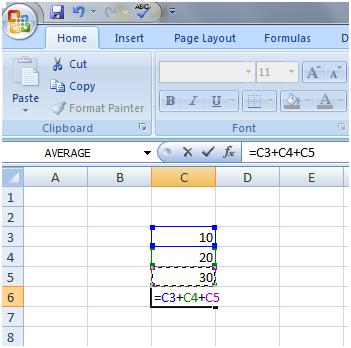 See the image, showing the addition of 10, 20 and 30. 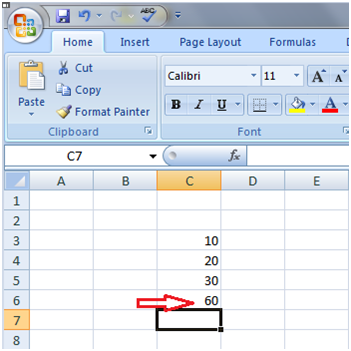 Choose the cell where you want the result to appear as cell C6 in this example. Then type = sign in the cell, now select first cell C3 then type "+" sign then select second cell C4, again type + and select third cell C5. Now press the enter key, you will get the sum of these three numbers.